If you’re like most folks, very few students in North Carolina truly understand what they can or should do if they’re pulled over by police for something as simple as a speeding ticket, much less a serious driving offense like a DUI in NC. Driving under the influence (DUI-DWI), and a conviction of “drunk driving,” can be a life-changing criminal charge in North Carolina. Many people do not know what conduct and conversation with a law enforcement officer is appropriate. Should I answer questions? Is there anything I should not do? How should I act? Can I call a lawyer, before talking or doing anything? In dealing with police officers, what is required to be done or said? If a police officer starts asking questions, what does a detained driver who is suspected of DUI do? What is DUI? Is it different than DWI? Is drunk driving the same thing as impaired driving in North Carolina? With all those completely reasonable questions and legal issues, it’s pretty easy to make a mistake. Long-term consequences exist for those convicted of DWI in NC. A driver may decide to refuse a breathalyzer test, not knowing what might automatically happen to his or her NC driver’s license. Most North Carolina license holders cannot tell you what implied consent means, or tell you how a refusing a breathalyzer impacts an administrative license suspension hearing at the North Carolina DMV. They may not even realize whether they need an experienced NC DWI defense lawyer. It can be really confusing, complicated, and downright scary to be charged with a criminal case in North Carolina. It’s not all that unusual for people to just give up. They take a breathalyzer test and do not later try to get their own independent blood test. It doesn’t matter whether you call it Driving While Impaired or DWI or DUI, the point is to help explain your rights, breath alcohol tests, DMV refusal hearings, suspensions, and other important DWI rights in North Carolina. How can I avoid being arrested? Actually, there are 10 ways to beat a NC DUI, but people don’t understand how important that missing one is: The single best way to “beat my DWI” is to avoid putting yourself in the position of ever being charged in the first place. It’s way too easy to say, “Don’t drive drunk.” That assumes some evil intent and frankly comes off more than a bit condescending, if not judgmental. No reasonable person thinks it’s a good idea to go around driving drunk and getting arrested for DWI. People don’t plan to end the day with an embarrassing arrest, being handcuffed, taken to the jail, having their picture taken and potentially posted on-line and all the means to their life, their work, and their reputation. No, the truth is, using the term “drunk driving” doesn’t much help the situation or the problems associated with alcohol-related wrecks and fatalities in the Carolinas. If we really want to address the issue, we need to start helping people understand what DWI is at a deeper level. The first and most important step is to explain what the terms DWI and DUI mean. To “beat a DWI” it makes sense to start first with educating people about what driving while impaired even is. Unfortunately, citizens of North Carolina are often shocked when they get pulled over and arrested. So, the #1 Top Way To Beat a DUI-DWI is to know this: Don’t put yourself in the position of even being charged with impaired driving. Impairment is something noticeable, detectable, and appreciable. It doesn’t have to mean fall-down drunk. It helps to also get this straight: DWI in North Carolina is not just drunk driving. The DWI standard is much, much lower than you might think. No one is in favor of, or supports driving while impaired. Until it happens to them, most, if not nearly all of our clients, consider themselves law-abiding citizens. That’s consistent with national numbers on DWI and DUI. A majority of people charged with DWI have had little if no prior involvement with the court system. And once the case is over, they pretty much will never again be charged with anything more than a minor traffic ticket. That’s because North Carolina drivers didn’t get the right information, or enough of it, beforehand. What’s provided in the North Carolina DMV Student Handbook isn’t enough. That’s the whole purpose of this blog post: To give you and other motorists helpful information about the DWI laws in NC so you can avoid it. The other 9 “tips” aren’t really anything more than knowing your legal rights. Remain silent. At a traffic stop, give your correct name and current address. Hand the officer your license, tag registration, and insurance – if they ask for them. That’s it. Anything and EVERYTHING else you provide to the investigating officer looking for a DWI most certainly will be used as evidence against you. For example, the officer may ask if you take any prescription drugs. DO NOT ANSWER. Remain silent. If asked if you are OK to drive, Remain Silent. You are not required to tell police where you have been or how much you have had to drink. Remain silent. If you admit to using medications, for example prescribed drugs like Xanax or even over-the-counter products like cold medicine or allergy pills like Benadryl, this may be enough to authorize the officer to arrest you, write a ticket for DWI charges, and then request a BREATH or BLOOD test. Even lawfully prescribed medications can cause impairment. Read the label. 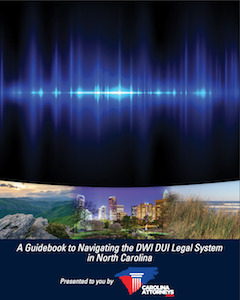 In a North Carolina DWI case, a Dr.’s note or prescription is not a defense to DWI. Even you followed doctor’s orders, you can be tried and convicted of DWI in North Carolina. Some of the most harmful information in DWI cases is what comes out of a client’s mouth. If you want to avoid even being charged with DWI, you need to remain SILENT. Since North Carolina police officers are trained to know that a detained person in North Carolina has no right to a DWI attorney on the scene, you will not be able to consult with legal counsel for a NC DWI until after you are BOOKED IN at the police station. By then, your DWI case has been documented with a great deal of circumstantial evidence. By the time you get to talk to an attorney about your rights and the best thing to do, it may be too late. Do NOT give the police ANY more evidence by talking too much, offering or volunteering information they haven’t asked for, or unnecessarily cause them greater suspicion or potentially incriminate yourself. You have a right REMAIN silent. SO DO NOTHING. Remain Silent. No law requires you to take or attempt to “pass” ANY roadside exercises, evaluations, or verbal tests. All evaluations offered to you BEFORE being cuffed, are 100% optional and completely voluntary. Never take these, since it is simply being done to let you self-incriminate. As stated, officers are trained to look for signs of impairment that they can write down in a report, and are consistent with their opinion of the suspect showing appreciable impairment. One of the best ways to build a DWI in NC case is to ask someone to give evidence against themselves, even when they are not required to do so. Every Field Sobriety Test Is Voluntary – Just Say NO. In a North Carolina DWI investigation, field sobriety tests are not required. 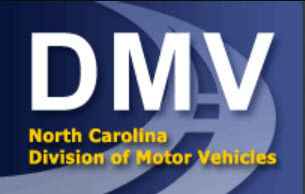 Submitting to voluntary, optional roadside agility testing or an eye test (HGN test) is not a condition of being licensed by NC DMV. Refusal to attempt every single roadside test is your legal right, and refusal of these non-scientific evaluations cannot suspend your North Carolina Driver’s License. These tests are highly technical, complicated, and are subjectively graded in a manner unlike any other tests you have taken. The officer knows that he or she needs to obtain some or all of the tests, to help build a DWI-DUI case against you. If you are being asked to perform dexterity tests, you are already suspected of impaired driving. By doing evaluations that would only be fair to a gymnast or cheerleader, you are doomed to adding evidence against you at trial. Officers perform field tests to gather evidence. It’s clever. It’s 100% legal and whether you yield to their request is completely voluntary. Miranda Rights are not even part of the equation. “I need you to do these tests,” is not the same thing as, “You are required to do these tests under NC law.” Put simply, you should not even try to do field sobriety tests like the “eye test” (the HGN test), one leg stand, the ABC’s or “saying the alphabet,” and walk the line evaluations. These tests are KEY EVIDENCE prosecutors focus on to establish both Probable Cause to Arrest and get over the substantial burden of proof, or Reasonable Doubt, in a North Carolina DWI case. 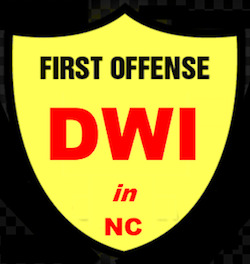 The best way to beat a DWI in NC is to avoid being charged in the first place. Seek the assistance of an experienced criminal defense lawyer. Find out if your lawyer is a Board Certified Criminal Law Specialist by the National Board of Legal Specialty Certification. Hire a DWI defense attorney that has a proven track record. Check out their credentials. Consult with professional review associations like Best Lawyers, Super Lawyers, Martindale-Hubbell, and AVVO.com. Do nothing if asked to perform standardized field sobriety tests (SFST) or sobriety tests on the roadway. In North Carolina. Every roadside test or “field sobriety test” is voluntary. It’s hard to imagine any DWI lawyer EVER recommending a client attempt to perform roadside field tests offered by a police officer. Even if performed 100% right, they are not 100% accurate. As stated above, a DWI appreciable impairment case often falls on these OPTIONAL evaluations. Even calling them “sobriety tests” is misleading. The National Highway Traffic Safety Administration or NHTSA standardized field sobriety tests are not “reliable” tests of sobriety at all. They are not there to help you or “make sure you’re OK to drive.” They are designed to gather evidence against you. Field sobriety tests have been described as a “fraud” on the American public by Texas researcher Dr. James Booker, Ph.D., Colorado physician Dr. Greg Kane, MD, and Georgia clinical psychologist Dr. Spurgeon Cole, Ph.D. They are not conducted in a laboratory or in optimal conditions, which is how the tests themselves were “scientifically verified” for accuracy in the first place. On-scene, on the roadway, and during a DWI investigation, the evaluations are highly subjective, often demonstrated and analyzed incorrectly, and simply are not fair indicators of impairment. They most certainly are not provided to help you. In North Carolina, these field sobriety evaluations are allowed to be used against you in court by officers with no medical training and no degree in psycho-physical testing and measurement. You should not attempt to perform subjective DWI tests. 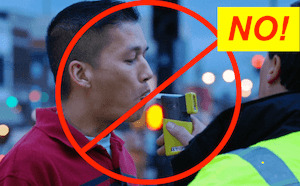 You are not required take a roadside breathalyzer test on a hand-held, portable breath test device. In North Carolina, the numeric breath test results of the hand-held preliminary breath test machine are NOT admissible into evidence. It’s called an Alco-Sensor or Field Screening Test (FST). Some people call it a breathalyzer, although that’s not an entirely accurate name for it. It is not an approved device approved for substantive evidence of impairment. It is not a forensic device. “Forensic” relates to the scientific method and techniques ensuring absolute accuracy. The Alco-Sensor number cannot be used as evidence of impairment at trial. All that is allowed into evidence is whether the Alco-Sensor indicated a “positive” or “negative” reading for alcohol. It can even be set to read just “POS” or “NEG” instead of giving a number. That’s because the North Carolina General Assembly has determined the hand-held breath test does not have a sufficient level of accuracy or forensic reliability to allow introduction as proof of DWI in North Carolina. It’s subject to error and user manipulation. It’s not entirely accurate. It would confuse the jury. And still, officers on-scene often use the number on the Alco-Sensor in almost every NC DWI case, contrary to what is recommended in their training and what is written in the NHTSA Detection of Impaired Drivers instruction manuals. It’s not unusual for jurors to ask about the roadside, on-scene field screening test. They have questions. . .and possibly doubts. They understand what we all know: No machine is 100% accurate. They want more than one machine to confirm impairment before voting to convict. Unfortunately, the hand-held breath test number is not reliable. That’s why it’s not admissible into evidence. It’s also why you are NOT required to blow into the Alco-Sensor. It cannot be the basis of a license revocation or suspension in North Carolina. Even if the reading is zero, it may serve as evidence of impairment by substances other than alcohol. If police are building a DWI case, avoid this VOLUNTARY, non-scientific, inaccurate and all-too-often wrong test by simply declining to blow into the portable breathalyzer. It is an OPTIONAL and VOLUNTARY alcohol-screening test. Simply say “NO THANK YOU,” and be nice. Be polite. Don’t offer a reason or explanation. Don’t give in to pressure. Your license will NOT be revoked for refusing a roadside screening or Alco-Sensor test. If arrested for a North Carolina DWI, cooperate. Never physically resist the officer. Don’t pull away if an officer is trying to handcuff you. Do not curse or be rude. Do not be verbally abusive, protest, beg, or ask to be given a “break.” Don’t drop names, ask police, “Do you know who I am,” flash a credential, or do anything like that. If you have been arrested in North Carolina, politely and immediately request to talk to an attorney. Ask to speak with friends and family. Don’t discuss the case or anything about the arrest. Messing with the police officer, giving them a hard time, being rude, cursing, and threatening them can be used as further evidence against you. This type of behavior can create another criminal charge in North Carolina called Resisting Officers. NC General Statute Section § 14-223. If any person shall willfully and unlawfully resist, delay or obstruct a public officer in discharging or attempting to discharge a duty of his office, he shall be guilty of a Class 2 misdemeanor. If you slightly delay an investigation or the performance of officers in their official duties, that too can be a criminal charge. It will most certainly make an already bad situation worse. Lying, providing false information, giving a fake name or drivers license number, can all be considered obstructing or delaying an officer. Sometimes things get physical and that is NEVER a good idea. The time to fight against a DWI in North Carolina is in court, not on the side of the road. Fighting a DWI case really means following the law, making intelligent arguments, and doing the right things in court. It’s an absolutely terrible idea to argue or complain on the scene. It’s even worse to try to use force to avoid an arrest. Using any form of physical force against a police officer is never a good thing. You always will lose. Do not pull away or strike the officer. Do NOT spit on an officer, kick them, attempt to punch or do anything to hurt them. Jurors will know THIS is what drunk people do. In making a decision regarding Reasonable Doubt, a jury or judge will definitely consider how you acted on scene and towards law enforcement officers. In fact, being calm, polite, and reasonable can actually be argued as proof of NON-IMPAIRMENT. If you have been pulled over for a traffic offense or DWI in North Carolina, even a DWI Checkpoint, assume everything you say and do is being recorded. NEVER assume you have a right to privacy in your car, on the side of the road, inside a police car or in the jail. Officers who handle a lot of DWI cases in court, especially if they are on a DWI-DUI Task Force, often have cars designated to be used for DUI-DWI arrests. Those police cars normally have both AUDIO and VIDEO recordings focused on you. The officers themselves may have body cameras on their uniform or on their glasses, recording every word you say. In Charlotte, police body cameras or “Body Cams” are required in most law enforcement situations. If given access to your cell phone, Do NOT engage in a conversation about your case, even if it is to your DUI lawyer. Attorney-Client privilege does not extend to public conversations in public places. The back of the patrol car is considered “public.” North Carolina appellate courts have ruled that you have no expectation of privacy on the side of the road and inside the police car. Breath testing rooms at the jail are public too. So are jail cells and Magistrate areas in the jail. Recorded audio and video can be used against you, and it can mean the difference between winning and losing. STOP TALKING. Remain calm. Be polite. It may change whether you hear “guilty” or “not guilty” at trial. After an arrest, you will be taken to the police station. Normally the police officer will give Miranda rights, AND told the North Carolina implied consent rights. The DWI laws in North Carolina about your legal obligation to permit breath or blood testing are EXTREMELY complicated and have been repeatedly litigated. Under NC implied consent laws, you have a limited amount of time to decide whether or not you will SUBMIT to alcohol breath testing, or if you will be refusing breathalyzer tests. A witness must arrive to observe the testing within 30 minutes. If you do not call for a witness, all the officer must do is wait for a 15 minute observation period. If you refuse, the officer may seek a search warrant for blood, but you have triggered driver’s license consequences, by refusing a breathalyzer. North Carolina is said to be an “implied consent” state. That is taken to mean that if you drive on the public roadways in NC, it is implied you agree to at least breath testing if probable cause exists to arrest for DWI. When it comes to blood testing in the Carolinas, it gets even more complicated. Recent cases in the United States and North Carolina tend to suggest warrants are required for blood tests in the DWI case. But, that’s not entirely certain. Some judges allow blood results as evidence of impairment without a search warrant or when an officer “compels a DWI blood test.” There are some circumstances where a search warrant is not required under the law due to the nature and the circumstances of the case. Failure to submit to breath or blood testing, or what is referred to as a Willful Refusal in North Carolina, has consequences under NC DWI laws, including possible license revocation. Under the North Carolina law on implied consent, refusing a breathalyzer is supposed to result in the IMMEDIATE suspension of your driver’s license and ends your ability to drive in North Carolina for an extended period of time. In light of this, in a DWI NC case, the best thing to do (in terms of your driver’s license), is to give police a breath alcohol test. If requested by police after implied consent is given, it also may be advisable to submit to a blood test under protest, or otherwise face loss of driving privileges under a Willful Refusal revocation. With either type of test, if EXCLUSION is ultimately determined (by a NC judge) or evidence is otherwise found to be inadmissible, test results may be suppressed in pretrial motions if a legal basis allows the challenge. It is extremely important not to confuse a POST-ARREST obligation to take the “implied consent” breath test (or, under certain circumstances, a blood test), with the roadside, PRE-ARREST Alco-Sensor (portable breath test device). The post-arrest test is NOT the pre-arrest, optional, voluntary portable breathalyzer test or handheld breath test device. In North Carolina you have a right to call for a witness or consult with a lawyer. Officers are required to provide you what is called Implied Consent Notice Rights, or the “20-16.2 Rights.” The official or evidentiary breath test is done on a machine called the Intoximeter EC/IR II. The rights regarding an NC DWI breath test are set forth in North Carolina General Statute Section 20-16.2. A special rights form is used by a NC police officer, and it is called the “DHHS 4081” form, as created by the North Carolina Department of Health and Human Services. This is your written notice of what happens if you refuse to blow, so that you are put on notice of your right to drive being taken away for a Willful Refusal. Normally, officers both provide a written copy of the Form 4081, and read you those rights, thereby complying with the statute. While it is not required for you to sign the rights form, police officers will often ask you to do so. They may even write, “Refused to sign.” That isn’t necessarily evidence of impairment. It does not mean you are refusing the test or being uncooperative. Officers have an option to obtain a warrant for breath and blood tests in DWI cases. You do NOT have the right to refuse to submit to testing demanded pursuant a valid Search Warrant. You do NOT have the legal right to pull your arm away, fight, or right to refuse at that point. If there is a warrant issued, you should POLITELY tell the officer you will comply, but that you do not consent to testing. If you hassle law enforcement officers, medical staff, nurses, or doctors trying to take a blood sample as allowed under an authorized search warrant, you could be charged with Resisting an Officer. If you use force against those people, you could also be charged with assault or battery. If you threaten them, you could be also charged with Communicating Threats. The time to fight your DWI charges is in court, not on the side of the road or in the jail or in the hospital. Once arrested, you may come into contact with people not necessarily associated with the prosecution of the case, but who could very well provide helpful, independent information about the LACK of impairment or noticeable clues. We’ve had clients tell us before, “The person at the jail checking me in said I seemed just fine and was shocked over the arrest.” You may deal with deputies or other police officers and even nurses in the normal arrest and processing of a DWI case in North Carolina. Such documentation and materials may directly contradict police testimony at trial, calling into question the level or extent of the alleged impairment. If an accident is involved in a DWI case, it’s important to record who was present. They may have seen the wreck and what caused the collision. They may have observed your condition and they too may have powerful testimony about the absence of the odor of alcohol, red glassy, bloodshot eyes, or how police officers themselves were acting on the scene. Write things down while they are fresh in your mind. Try to document names and ways to reach people who might be willing to give a fair, unbiased opinion about your sobriety or how you did on tests or whether they thought things were handled professionally. In North Carolina, you have a VERY limited amount of time to appeal an administrative license revocation or suspension. Quick action MAY result in you getting a better result in obtaining some driving privileges. Once released from jail, call a North Carolina DWI attorney without delay. An experienced DUI lawyer will want to ask a lot of questions. Afterwards, they normally can give you some idea of your legal options and whether an appeal of the initial suspension is both legal and appropriate. The best thing to do is act immediately, DO NOT WAIT. It can take time to prepare documentation and the materials necessary to challenge a DWI revocation in North Carolina. That is true whether you blew an 0.08 or higher or were marked down as a “willful refusal” to submit to breath or blood testing. Failure to SUBMIT to the breath alcohol test, in accordance with implied consent rules relating to DWI law in North Carolina, can result in a waiver of the right to challenge a driver’s license revocation and even a long-term suspension. Obviously, each case is different, so it makes sense to gather information immediately, to consult with a DWI-DUI lawyer, and decide what you decide is best for you. Due to the importance of QUICK action, our DUI attorneys will help you decide whether to contact DMV, or send an appeal letter or opt for a Pre-Trial Limited Driving Privilege (if that’s a legal option you are eligible to receive) for no legal fee or charge. If you decide you wish retain the legal services of our law office, we’ll explain how much that costs and what amount we need to move forward. The consultation is both FREE and confidential. If you have a criminal case or DWI pending, any new criminal charges or arrests (even traffic tickets) can cause MAJOR problems. While rare, a DWI arrest followed in short order by another DWI charge is not unheard of. It may indicate a problem with alcohol abuse problems and the need for immediate medical treatment and counseling. In North Carolina, back-to-back convictions for DWI result in serious consequences, including extended jail sentences and long-term license suspensions with no ability to drive legally. 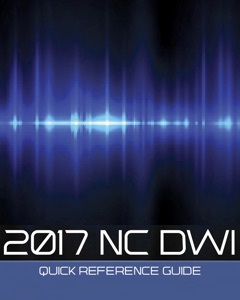 Take a look at the North Carolina DWI Quick Reference Guide, making certain to note the section on GROSSLY AGGRAVATING FACTORS. Follow-up criminal charges can cause the revocation of your first bond and being sent back to jail. The Court may order, in their discretion, higher, new bonds and impose additional conditions for release including treatment, house arrest, random drug screens, and electronic monitoring for alcohol. Your new arrest may simply cause you MUCH more inconvenience and DUI attorney costs. This can all end up being quite expensive. Employers aren’t terribly patient with their staff if they get arrested repeatedly or can’t come to work because they’re in jail. Getting fired for being locked up happens. . .and it’s entirely legal. You may be innocent until proven guilty in a court of law. No such constitutional rights apply to your employer and your job. Your boss doesn’t have to wait-and-see how things work out in court. They don’t have to pay your bail, bond you out, or keep your job open. The best thing to do after being arrested for DWI in North Carolina is to stop, to think about what got you where you are, and to see what can be done, legally, to help you. Do NOT take a chance getting another charge or being arrested. DWI cases are hard enough. It just doesn’t make sense to pick up new charges. It also shows both the DA and the Court you didn’t take the first arrest very seriously. While Aggravating and Grossly Aggravating Factors in NC must be proven Beyond a Reasonable Doubt, a history of arrests and charges may be relevant in setting bond, determining flight risk, and considering whether releasing you is a danger or poses a further risk to either the community or even your own safety. Sometimes keeping you in jail with a high bond or imposing what might seem like a harsh judgment if found guilty may be the Court’s effort to protect you from yourself. What is the best way to find a DWI lawyer in North Carolina? You’ve taken the first step by looking for information about a DWI in North Carolina, and are researching NC DWI laws. Do I Need a DUI Lawyer? Some people try to self-assess their chances of winning the DUI in NC. Given NC DWI penalties, and learning which NC DWI levels could apply to your DUI, if you plead guilty or are found guilty after trial, is important. Self-representation in ANY criminal matter can be a difficult task, especially if an experienced attorney is willing to review your case for FREE, and give you an overview of what you are facing. We only charge legal fees if you retain us, and we agree to undertake a legal matter for representation. After being arrested for DWI in North Carolina, some people get so depressed that they dwell on their mistakes. They give up on the DWI charge, or procrastinate in seeking legal advice from an experienced Charlotte DWI lawyer. They don’t even consider whether legal defenses to their DWI in NC exist, or whether an option exists to take a case to trial and possibly be found not guilty. It’s OK to be disappointed in yourself. Even if you ultimately decide to plead guilty to a DUI in NC, it makes sense to have an experienced NC DWI lawyer help you minimize the legal consequences, and help guide you through the complex DWI North Carolina process. Having a DWI attorney explain what can be done about a Limited Driving Privilege, and help mitigate potential consequences of a conviction, or help obtain a limited driving privilege. It may be helpful to obtain an Alcohol Assessment and follow the recommendations for any recommended treatment. Our law firm’s DWI Defense Lawyers can also point you in the right direction regarding potential alternatives to jail such as a SCRAM device. Fear of the unknown can be a powerful enemy. The best legal decisions are made after considering all the information available about your DUI case, and reviewing the law that is applicable to you DUI case. Only then should you be making hard choices. Our DWI lawyers in Charlotte NC offer you a FREE attorney consultation and will explain how our criminal defense attorneys evaluate your North Carolina DUI case. Once hired, we collect all Prosecution evidence, analyze the basis for your DWI-DUI arrest and implement a game plan. Our Charlotte Lawyers aggressively represent clients accused of committing crimes, by filing and arguing suppression motions for illegally seized evidence, taking matters to trial, and doggedly pursuing justice in the courts of North Carolina. Call our DWI-DUI attorneys NOW for an initial criminal case review and to obtain FREE legal advice: (704)-342-4357, or you can email our criminal justice lawyers. We’re here to help, that’s why our telephone number is: (704)-342-HELP.